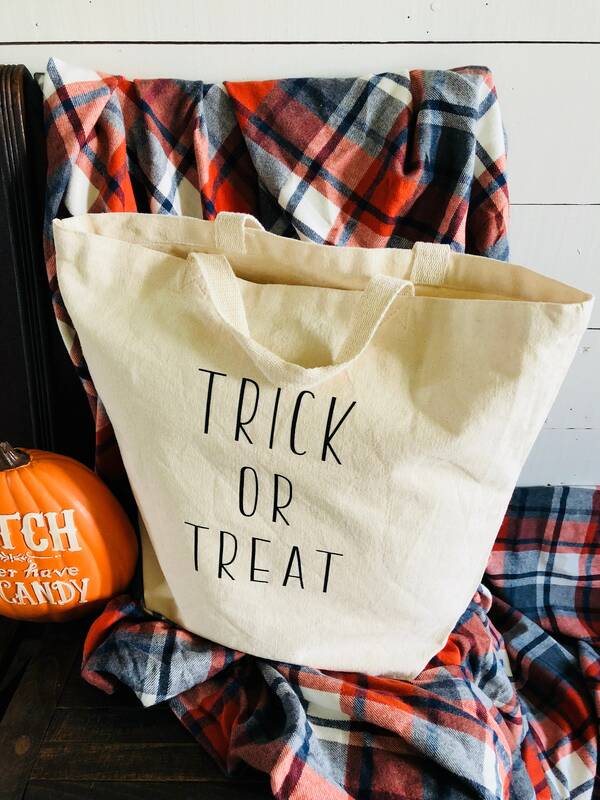 Trick or Treat heavy duty canvas tote bag. 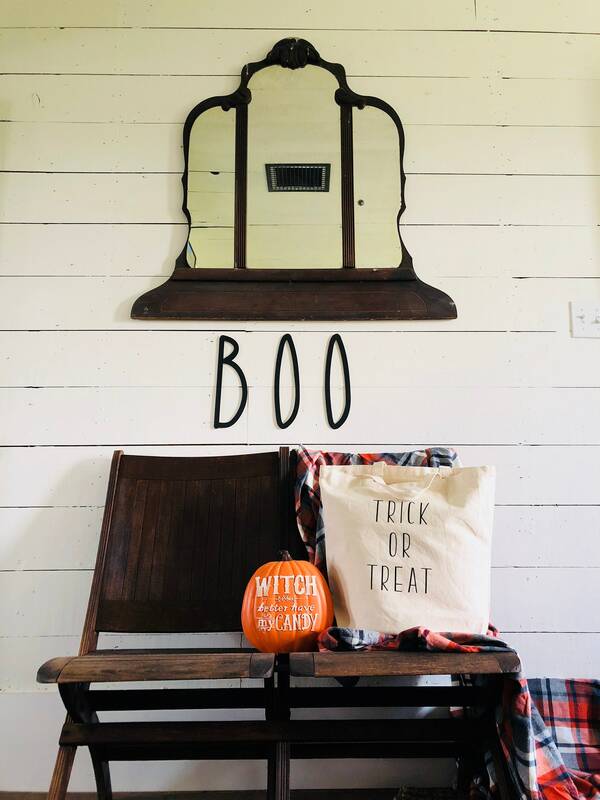 Perfect to use as Halloween decor or for collecting candy.! 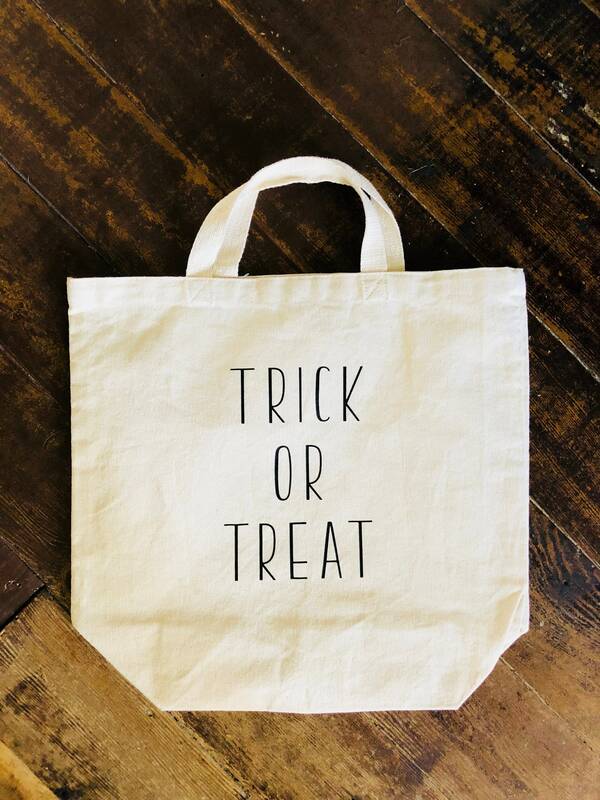 Tote measures: 17” long x 16” high x 6” wide. 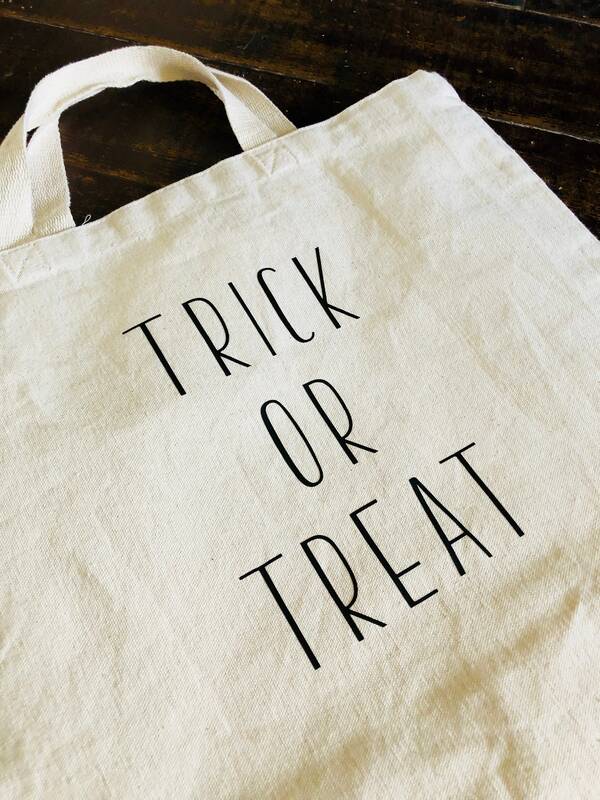 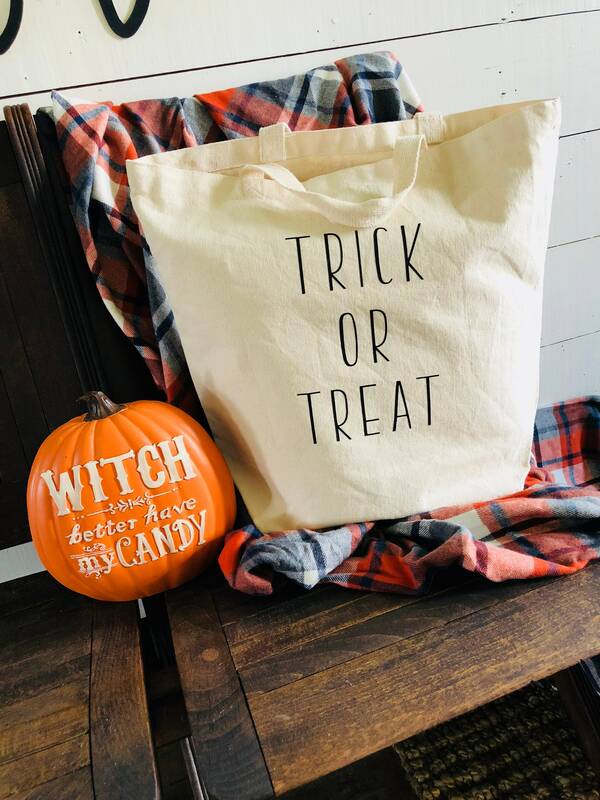 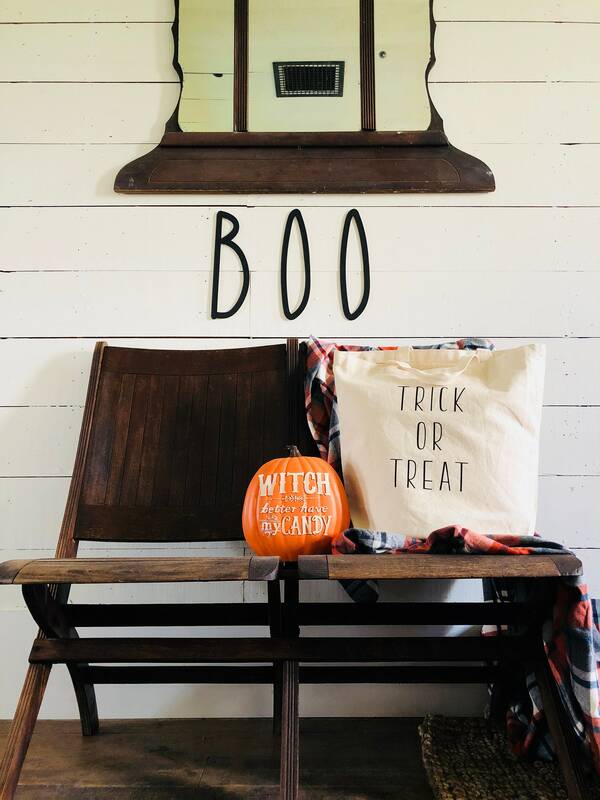 The wording ‘Trick or Treat’ is applyed to the canvas tote using vinyl and a heat press.